FREE Telus Optik TV, Internet, PVR & Home Phone for 1 Year! *For new residents only, some conditions apply. 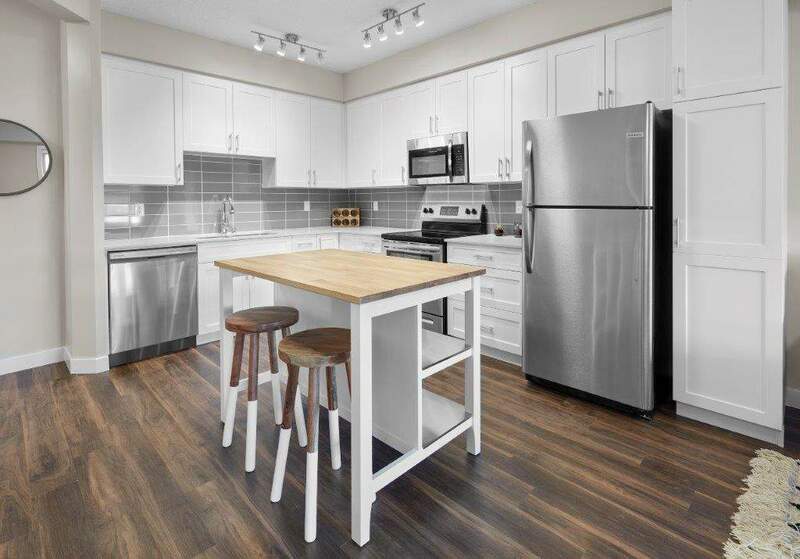 Harmony at the Market in Sherwood Park is the perfect blend of exceptional condo-style suites with urban shops and services. Something for everyone, with a number of floor plans to choose from, each suite includes 6 appliances, in-suite laundry and executive finishes. Your new suite includes vinyl plank flooring, stainless steel appliances, quartz countertops and a glass walk-in shower. Heated underground parking and video surveillance are only a few of the additional benefits you will enjoy with your new home. Contact our friendly leasing agent to set up your viewing today. Harmony at the Market is located in the heart of Sherwood Park. This urban hub includes access to shopping and dining on the main floor of the property. Need to grab groceries? How about a coffee with friends? Harmony and it's adjacent buildings will be home to a variety of options for your lifestyle. Near all amenities, parks and schools, the perfect location awaits you. With transit close by, you can easily commute to where you need to go. Cats and small dogs permitted (upon approval, fees apply). Security deposit is equal to rent.